You must be at least eighteen years of age. College degrees/credits may be substituted for 1-3 years of work experience. Be prepared — any candidate MAY be requested to appear before the board and questioned to determine whether your qualify. For specific information, look at the application for the license itself by clicking here. Must have four years total of structurally-related experience in commercial construction of four or more stories in four or more of the following: foundation/slabs greater than 20,000 square feet; masonry walls; steel erection; elevated slabs; precast concrete structures; column erection; formwork for structural reinforced concrete. One year of experience must be in new construction from the ground up to completion. You must also include at least one year of experience in the construction of structures at least four stories in height and one year of supervisory experience. Must have four years total of structurally-related experience in commercial construction of up to three stories in four or more of the following: foundation/slabs greater than 20,000 square feet; masonry walls; steel erection; elevated slabs; precast concrete structures; column erection; formwork for structural reinforced concrete. You must also include at least one year total of new construction from ground up to completion and one year of supervisory experience. Must have four years total of structurally-related experience in residential construction in four or more of the following: foundation/slabs; masonry walls; trusses; structural wood framing (excluding platform framing); column erection; formwork for structural reinforced concrete. You must include one year of supervisory experience. Must have four years total experience in the the fabrication and design, and installation of duct systems and air-handling/ventilation systems, as well as air balancing. Additional experience that MAY demonstrate substantial compliance (you will be called before the board) include the repair and servicing of duct systems and air-handling/ventilation systems including gravel stops, coping, fascia systems, gutters and downspouts, and flashing systems. One year must be supervisory experience. Must have four years total experience in the installation of systems in excess of 25 tons of cooling and 500,000 BTU heating capacity, installation of air conditioning, heating and refrigeration equipment, and installation and fabrication of sheet metal ductwork. Installation experience in the majority must be in the following areas: boilers/pressure vessel systems, condensate piping, gas/air/vacuum/oxygen/nitrous oxide/ink/chemical line piping, piping for lift stations, low temperature refrigeration, piping & installation of gasoline tanks, direct digital control wiring. Additional experience that MAY demonstrate substantial compliance (you will be called before the board) include maintenance and repair of systems in excess of 25 tons of cooling and 500,000 BTU heating capacity, air condition, maintenance of air conditioning, heating, and refrigeration equipment, or maintenance and repair of sheet metal ductwork. One year must be supervisory experience. Must have four years total experience in the installation of systems in excess of 25 tons of cooling and 500,000 BTU heating capacity (one year), installation of air conditioning, heating, refrigeration equipment, and installation and fabrication of sheet metal ductwork. Additional experience that MAY demonstrate substantial compliance (you will be called before the board) include maintenance and repair of systems in excess of 2 tons of cooling and 500,000 BTU heating capacity, maintenance and repair of air conditioning, heating and refrigeration equipment, and maintenance and repair of sheet metal ductwork. One year must be supervisory experience. Must have four years total experience in the installation of heating systems (one year), installation of air conditioning, heating, refrigeration equipment, and installation and fabrication of sheet metal ductwork. Additional experience that MAY demonstrate substantial compliance (you will be called before the board) include maintenance and repair of heating and cooling systems, maintenance and repair of air conditioning, heating and refrigeration equipment, and maintenance and repair of sheet metal ductwork. One year must be supervisory experience. Must have four years total experience in the installation of built-up roofing systems (built-up, roll, modified bitumen and cold process), single-ply systems (single-ply, foam), architectural metal roofing, concrete and tile roofing, shingles and shakes, and gutters and downspouts. Additional experience that MAY demonstrate substantial compliance (you will be called before the board) includes the maintenance and repair of roofing systems. One year must be supervisory experience. Must have four years total experience which includes one year in the construction of public/commercial pools, and commercial installation of the following pool components: Excavation/grading/backfill/compacting, electrical components, deck work, interior surface preparation and finishing, plumbing components, shell placement, tile/coping/trim work. Additional experience that MAY demonstrate substantial compliance (you will be called before the board) includes commercial repair/servicing or residential installation of the above components. One year must be supervisory experience. Must have four years total experience in residential installation of the following pool components: Excavation/grading/backfill/compacting, electrical components, deck work, interior surface preparation and finishing, plumbing components, shell placement, tile/coping/trim work. Additional experience that MAY demonstrate substantial compliance (you will be called before the board) includes the repair/servicing of the above components. One year must be supervisory experience. Must have four years total experience water treatment (balancing pool water), sanitation, filter maintenance, and installation of pool heaters, pool deck repair, tile/coping/trim work, plumbing equipment (pumps, piping, fittings, gauges, pressure testing, valves), and maintenance and repair of pool shells (leak detection and testing, crack repair). One year must be supervisory experience. Must have four years total experience in the installation of roof and storm drainage, waste piping, backflow prevention devices, sanitary drainage, water distribution systems and lines, drainage venting, and natural gas and liquid petroleum piping and venting systems. Additional experience that MAY demonstrate substantial compliance (you will be called before the board) includes the maintenance and repair of the above components. One year must be supervisory experience. Must have four years total experience in the installation of main sanitary sewer collection systems, main water distribution systems, and storm sewer collection systems. Additional experience that MAY demonstrate substantial compliance (you will be called before the board) include the installation and/or repair of main sanitary sewer collection systems, conventional (open trench) pipe, meter installation/flow regulator, empty conduit installation, main water distribution systems, trenchless technologies, installation of wet/dry taps and reclaimed water systems, repair of storm sewer collection systems, directional boring/auger, boring/jacking and boring, grouting and pipeline abandonment/removal, construction/installation of pump stations, lift stations and wet wells. One year must be supervisory experience. Must have four years total experience in the installation of photovoltaic systems, swimming pool/spa solar heating systems, and domestic water solar heating systems. Additional experience that MAY demonstrate substantial compliance (you will be called before the board) include the repair and maintenance of photovoltaic systems, swimming pool/spa solar heating systems, and domestic water solar heating systems. One year must be supervisory experience. Must include four years total experience in installation and extension of pollutant storage systems. Additional experience that MAY demonstrate substantial compliance (you will be called before the board) include the alternation/repair, maintenance and removal of pollutant storage systems. One year must be supervisory experience. Must include four years total experience in residential/commercial fabrication and/or installation, using aluminum and allied products of foundations (concrete slabs, CMU kneewalls, excavating, laying out, forming and placing pier-type post footings), wall sections (screen walls, framed solid panel walls, screen and storm doors, composite metal panel walls), roof sections (screen roofs), windows (vinyl, glass) and post/beam structures. Additional experience that MAY demonstrate compliance (you will be called before the board) include residential/commercial construction experience in the fabrication and/or installation, using aluminum and allied products, of corner cables and rigid bracing, and siding, soffit, fascias, gutters and downspouts. One year must be supervisory experience..
Must include four years total experience in installation of light steel framing, gypsum board and finishing. Additional experience that MAY demonstrate compliance (you will be called before the board) include maintenance and alteration of light steel framing, gypsum board and finishing. One year must be supervisory experience. Must include four years total experience in the installation/attachment of windows and glass, swinging and sliding glass doors, glass holding or supporting mullions or horizontal bars, and cutting and installation of glass and mirrors. One year must be supervisory experience. Must include four years total experience in floating marine structures (flotation, framing, decking, anchor, access gangway, mooring), fixed marine structures (framing, concrete deck, roof system), and foundations (concrete footers, structural pilings). One year must be supervisory experience. Must include four years total experience in installation and modification/alteration of natural gas transmission systems and natural gas distribution systems. Additional experience that MAY demonstrate compliance (you will be called before the board) include repair, maintenance, and testing in natural gas transmission and distribution systems. One year must be supervisory experience. Must include four years total experience in installation, maintenance, repair, alteration, extend, manage, monitor, audit, and if not prohibited by law, design irrigation systems, including incidental excavation work. One year must be supervisory experience. 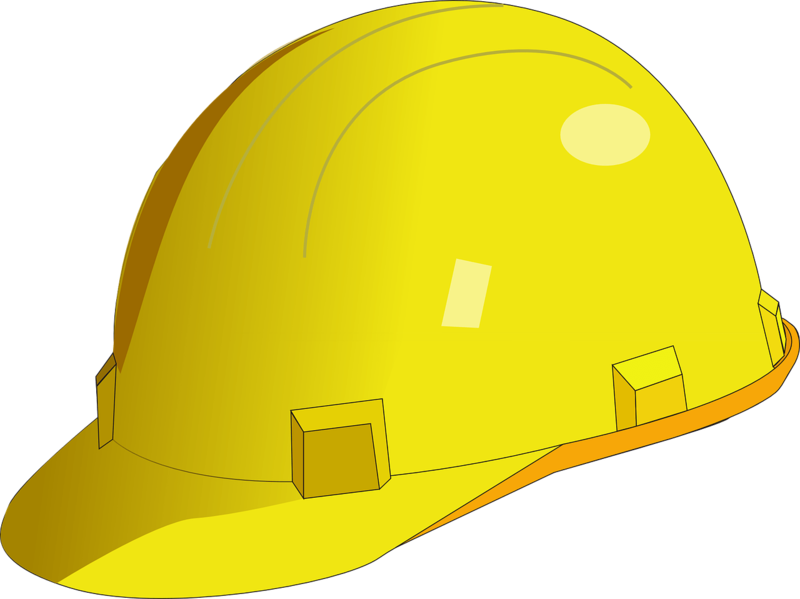 Must first pass the GENERAL CONTRACTOR exam(s) then shall demonstrate experience in the construction, repair and alteration of towers and accessory use structures. One year must be supervisory experience. Must first pass the GENERAL CONTRACTOR exam(s) then shall demonstrate experience in the demolition of steel tanks 50 feet or less in height, towers 50 feet or less in height, other structures 50 feet or less in height, other than buildings or residences over three stories tall, as well as buildings or residences three stores or less in height.. One year must be supervisory experience. Must first pass the GENERAL CONTRACTOR exam(s) then shall demonstrate experience in the construction, repair and demolition, modification, and alteration of uninhabitable industrial structures used solely to house manufactured industrial equipment being installed for energy production, gas production, or chemical production and habitable or uninhabitable attached accessory use structures not exceeding 1500 square feet used to house related operation/controlling equipment. . One year must be supervisory experience. Scope of work is limited to specific categories listed below and must work under contract and under the supervision of licensed contractor – each category is a separate license: Swimming Pool Layout Specialty Contractor; Swimming Pool Structural Specialty Contractor; Swimming Pool Excavation Specialty Contractor; Swimming Pool Trim Specialty Contractor; Swimming Pool Decking Specialty Contractor; Swimming Pool Piping Specialty Contractor; Swimming Pool Finishes Specialty Contractor. Meet the education/experience requirements for the category you are applying to get licensed in. Combination of these qualifications totaling six years. Experience MUST be for a licensed electrical contractor. ES – Certified Electrical Specialty – Limited Energy (Low Voltage, Sound Systems, Telephones); Lighting Maintenance (installation, repair, alternation or replacement of lighting fixtures ); Utility Line (transmission or distribution circuits, substation for utilities); Specialty Sign (installation, alteration, repair, service and wiring of electrical signs ).